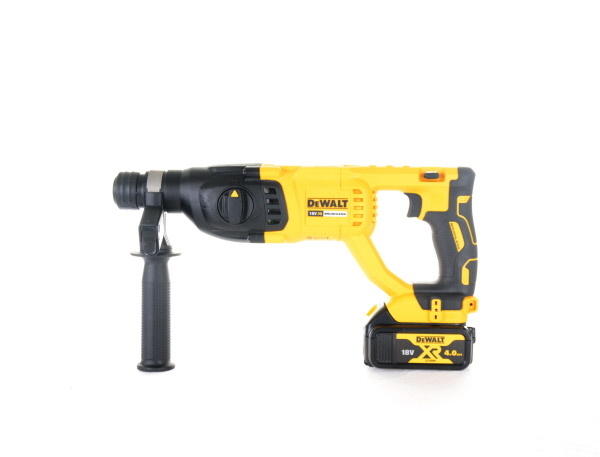 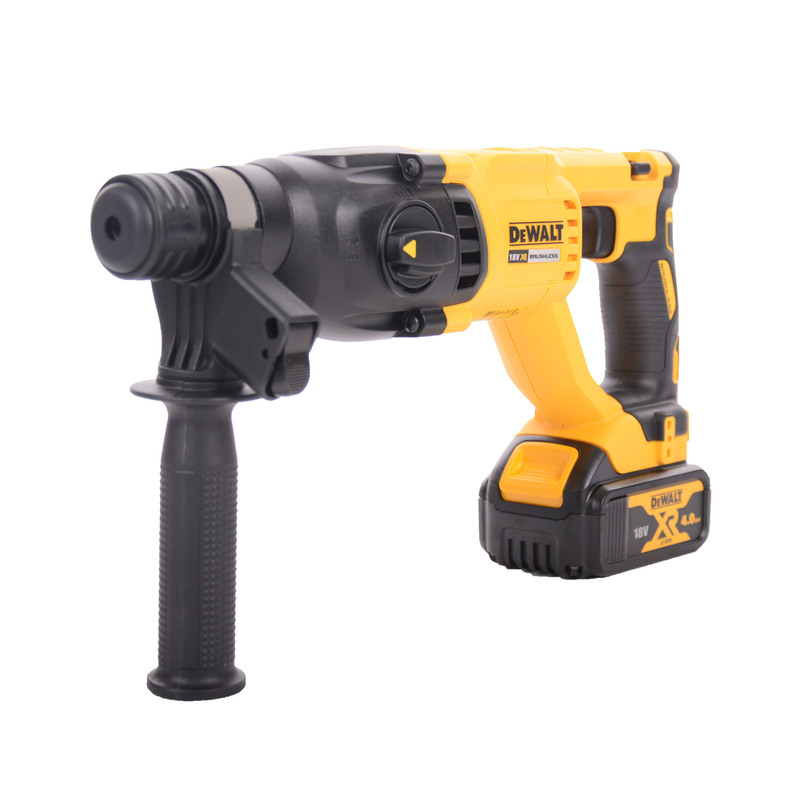 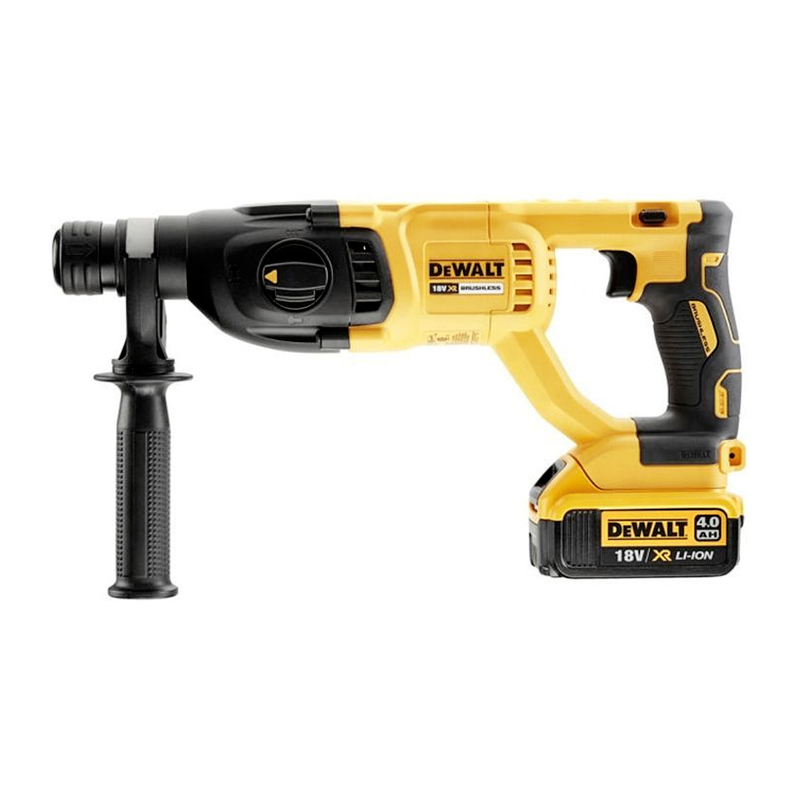 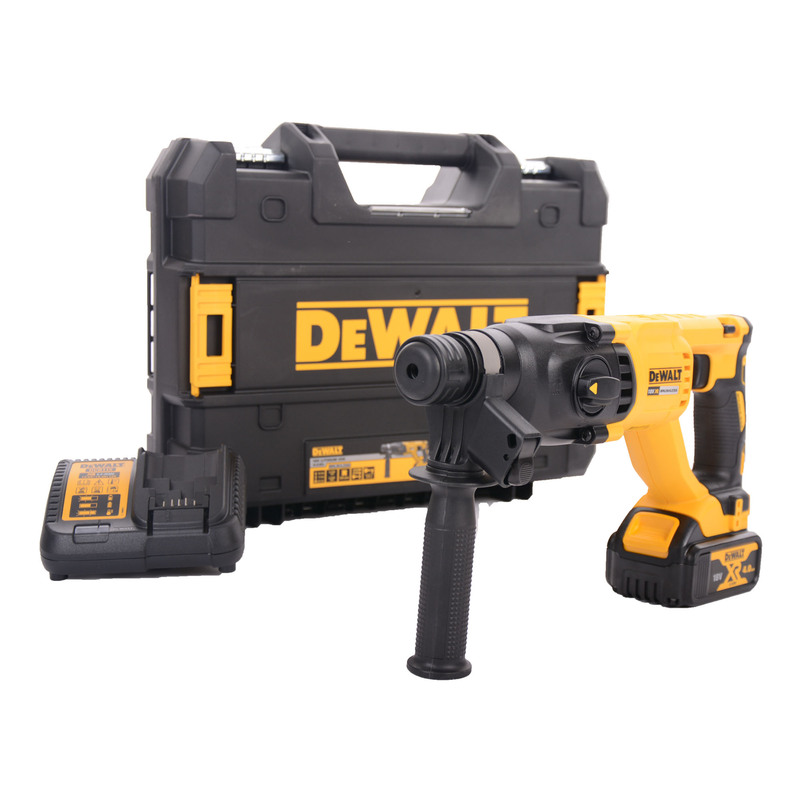 18v XR Brushless SDS+ Rotary Hammer Drill ideal for drilling anchor and fixing holes into concrete, brick & masonry. 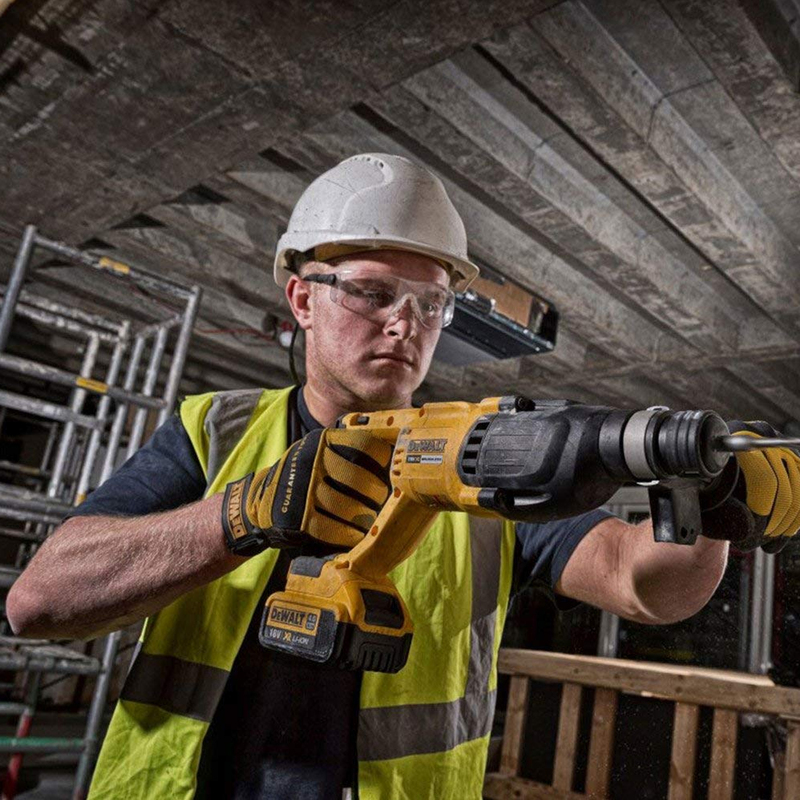 Max 1550rpm no load speed, max 5550bpm producing 2.6J impact energy, drilling up to 13mm into steel, 30mm into wood & 26mm into concrete making it the ideal machine for multiple applications. 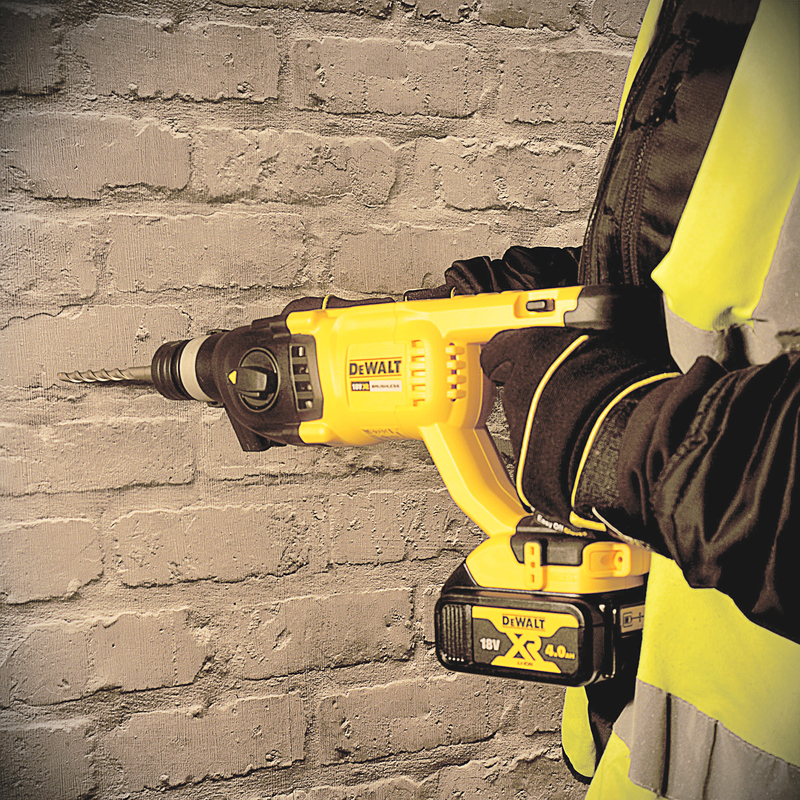 Compact and lightweight 2.3kg design makes it ideal for use on site, whilst the shock-absorbent, ergonomic soft grip handle protects the battery housing for extra durability, providing maximum comfort reducing user fatigue and providing greater tool control. 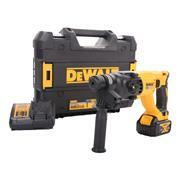 Supplied with 1 x 4.0Ah Li-ion battery, charger & T-Stak Case.